Why Are We So Excited About Bladeless Cataract Surgery? Because this technology makes it possible for Dr. Solomon to minimize risks and optimize results. 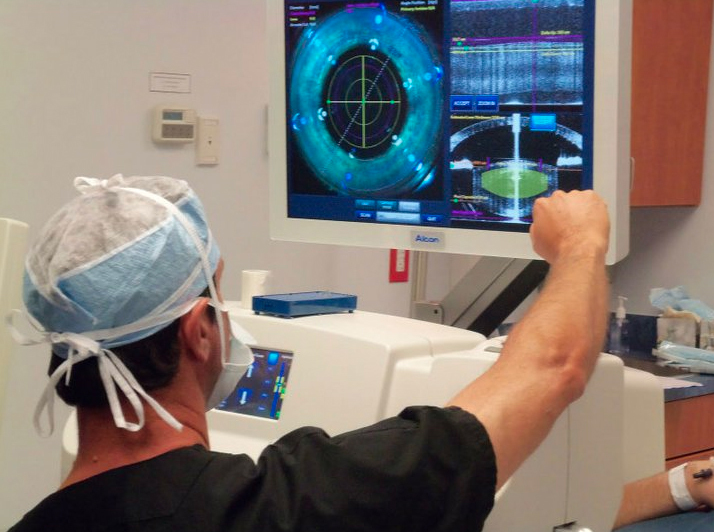 It gives him image-guided control and the ability to plan and customize each procedure to the unique characteristics of the patient’s eye. Dr. Solomon, who performed the first LASIK procedure in South Carolina, predicts: “In five to 10 years, all cataract correction procedures will be performed with the laser.” Dr. Solomon uses a bladeless laser, nicknamed “Bella,” in an outpatient procedure in a Charleston surgery facility designed specifically for eye surgery. If you want to get back your bella vista, visit Dr. Solomon for a consultation.